If anything happened in the news over the last seven days that could put a smile on your face, you are likely to find it on this list. For the weirder stuff that is likely to bemuse or astound you, check the offbeat list right here. We talk about a few exciting discoveries this week, such as an ancient lost city and a new type of solar panel that might help to save the environment one day. We are inspired by a little kid who beat leukemia and an athlete who overcame a double amputation. We also appreciate New Zealand’s novel way to convince men to get their testicles checked. 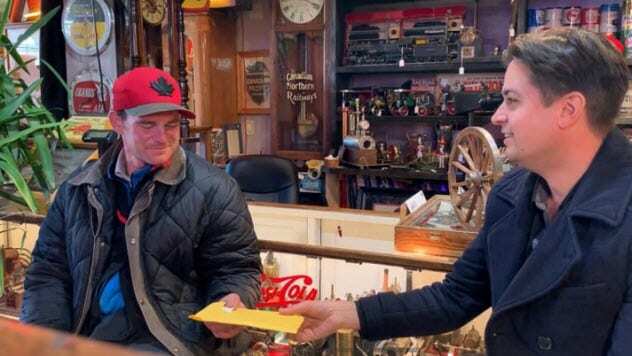 A few weeks ago, Adam, a homeless man in Edmonton, was dumpster diving, looking for little knickknacks he could sell to a local antique store. Shop owner Alex Archbold was interested in a framed animation cel from the movie Bambi that Adam brought in. Archbold paid Adam $20 for it. Archbold thought the cell was a replica which could be sold for $80 to $100 after a bit of cleaning and a new frame. However, when he took it out of the frame and turned it, he was surprised to find a copyright date from 1937 and a certificate of authenticity. It was an original drawing used in the movie. Archbold sold it for C$3,700. This could have been the end of the story. After all, Adam had accepted the $20 offer. But the store owner decided to give Adam his fair share. The problem was finding the homeless man. Archbold went around town every morning for two weeks looking for Adam before tracking down some of his friends and having them deliver a message. Eventually, Adam walked into the store and was presented with his cut of the sale—$1,600 plus an extra $100 and a free lunch. 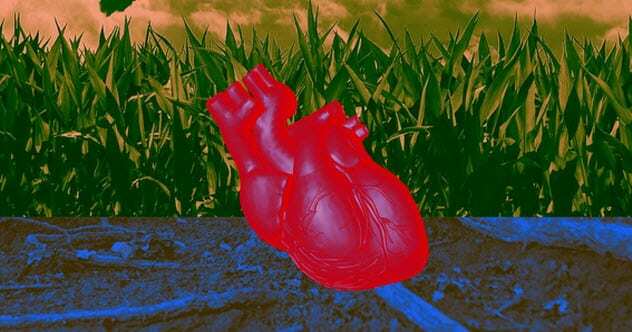 A new study published in Stem Cell Reports announces that German scientists have managed to grow heart tissue that pulsates like the real thing. Specifically, they grew tissue that can serve as a model for the atria—the upper chambers that pump blood into the ventricles and out to the rest of the body. Besides beating, the tissue also expresses genes and responds to drugs the same way as real human cardiac tissue. The team managed this feat by taking human-induced pluripotent stem cells (hiPCSs) and treating them with a vitamin A–based substance called all-trans retinoic acid. Afterward, the cells were coaxed to grow into 3-D strips of muscle instead of a flat layer to better resemble actual atrial tissue. Researchers are hoping that the new advancement will help treat atrial fibrillation, the most common type of irregular heartbeat. Currently, there is no effective treatment for the condition, partially because scientists cannot isolate and maintain heart muscle cells long enough to test new drugs on them. Bird-watching enthusiast Lowell Burket spotted one of the rarest phenomena among birders—a bird that’s three species in one. Hybridization isn’t unheard-of in nature, but it usually happens between two species. In this case, though, the bird’s mother was already a hybrid and mated with a male who belonged to a third, distinct species. In May 2018, Burket took a video of an interesting bird in Pennsylvania. He noticed that its coloration was reminiscent of both the golden-winged and the blue-winged warblers, which was a relatively common hybrid called Brewster’s warbler. 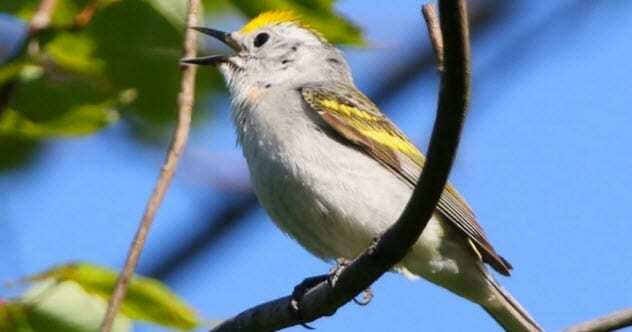 However, the bird’s song reminded him of the chestnut-sided warbler. Eventually, after spotting the animal a few times, Burket contacted the Cornell Lab of Ornithology and convinced researcher David Toews to come down. The two managed to capture the bird and take some measurements and a blood sample. Toews later sent an excited text message to Burket with “several exclamation marks” confirming his suspicions. The bird was a triple hybrid and the first recorded hybridization between these three species. It has since been dubbed the “Burket warbler” in honor of its discoverer. A former runner who lost both his feet to severe frostbite completed his first marathon. Born in Kenya, Marko Cheseto obtained a full scholarship to the University of Alaska Anchorage a decade ago to compete in track and field and cross-country running. In 2011, a fellow runner and friend from his hometown of Kapenguria committed suicide, which caused Cheseto to fall into depression. In November, the Kenyan went out into the woods of Alaska when a blizzard hit. He was wearing regular clothes when he left and was missing for over two days. Therefore, when he was found, Cheseto was suffering from hypothermia and frostbite. Both his legs had to be amputated above the ankles. Since that time, Cheseto has recovered from his depression, gotten married, and had kids. 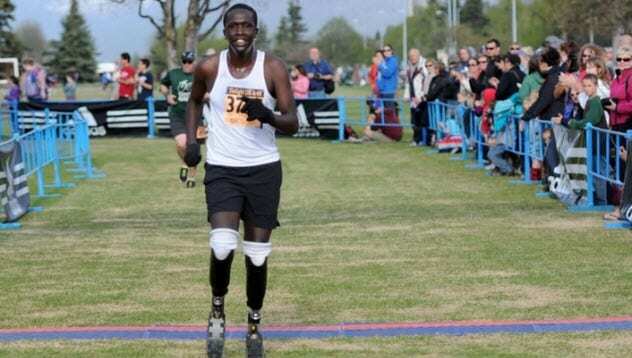 He has also been fitted with a pair of running blades and learned to run using prostheses. This year, he took part in the New York City Marathon on November 4 and finished 613 out of almost 53,000 people. Cheseto’s time of two hours, 52 minutes, and 33 seconds is 10 minutes shy of the world record for a double-leg amputee, and that seems to be the next goal. As a bonus, Cheseto was granted his US citizenship a few days after the marathon. 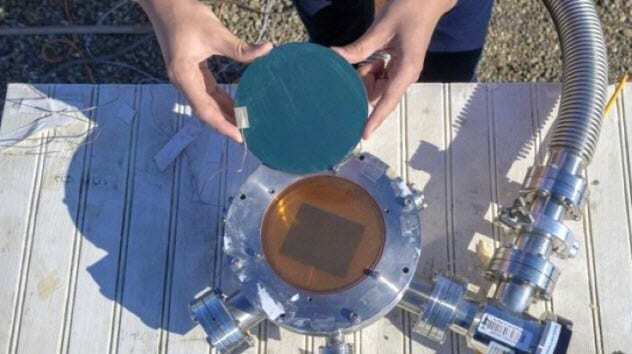 Scientists from Stanford University have invented a solar panel that can harvest energy from the Sun’s rays and convert it into electricity as well as help to cool down the planet by beaming heat directly into space. The device is based on the concept of radiative cooling, a process where objects emit heat as infrared light. Under regular conditions, most of that heat does not escape through our atmosphere and end up in space. However, there are regions of the atmosphere which are easier to penetrate at certain wavelengths. This invention can absorb heat coming off buildings and send it out at the right infrared wavelength required to make it into space. So far, the device is only a prototype about the size of a plate. Stanford engineers are hopeful that the technology could be used one day to cool down a building so much that air conditioning might become unnecessary. New Zealand is rolling out the Testimatic, a booth where men can have their testicles checked for cancer without facing a doctor. Testicular cancer is abnormally common in young men in Western nations. If caught at an early stage, it actually has a very high cure rate—up to 99 percent. The problem is that not enough men go for regular checkups. Realistically, this is partly because they feel uncomfortable with the idea of being in a room with another person who is grabbing their testicles. Despite the moniker, the device is not as high-tech as you would expect. It consists of two booths. In one, the patient goes in and drops his pants. In the other is a real urologist who will put his hand through an opening between the booths and give the other person a checkup. The hope is that not having to be in the same room or see the doctor will make it less awkward. The Testimatic will debut at the Big Boys Toys Expo—a convention which oozes machismo and is full of gadgets, cars, construction equipment, and all kinds of other stuff that supposedly appeals to men. 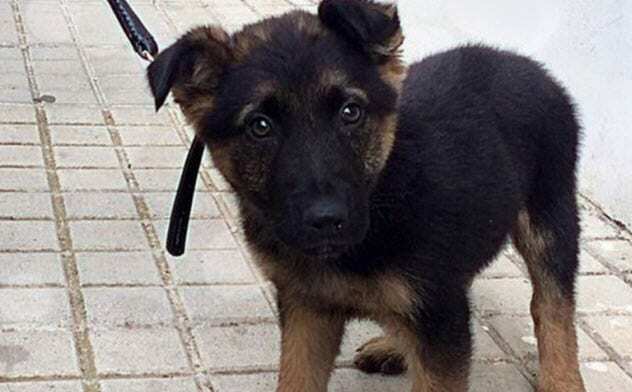 Spanish police from Granada have asked for help naming a puppy that they rescued from an abusive owner. Authorities responded to a call and saw a man kicking the German shepherd on the street. They arrested the man for animal abuse and took the puppy to the vet. It had a few bruises and some stomach injuries but no internal damage. Since then, the dog has made a full recovery. Then came the matter of what to do with the lovable pooch. Granada police decided to adopt and recruit him into their ranks. They needed to find him a name, so they turned to the Internet for help. This hasn’t always worked out well in the past, but Spanish authorities set up a Twitter poll that only allowed participants to vote for one of four choices: Rocky, Lucky, Iron, and Stan Lee. As of this writing, Stan Lee was handily winning with almost 40 percent of the votes. California is currently suffering from some of the most destructive wildfires in its history. In particular, the Camp Fire has become the deadliest one the state has ever experienced, with over 60 casualties and hundreds more unaccounted for. It is in these times of tragedy, though, that human decency can shine brighter than ever and we hear of inspiring stories of people helping their fellow man. Tracy Grant went to hand out food to evacuees at the Forebay Aquatic Center near Paradise, California. There, she met 93-year-old World War II vet Lee Brundige, who was alone and sleeping in his car after being forced to leave his home. She took him in and now says that he can stay with her forever in case Brundige’s house was destroyed by the blaze. Then there’s Canadian couple Paul and Destee Klyne who had planned a vacation to Paradise when the fires started. Instead, they chose to spend their money on provisions for evacuees living in a “tent town” set up in a Walmart parking lot in Chico. Finally, let’s talk about Dane Ray Cummings. 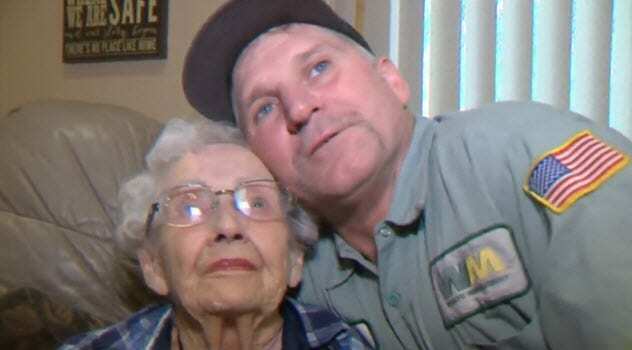 He is a garbageman who saved 93-year-old Margaret Newsum. She was stuck alone in her home in Magalia as the fire rapidly approached her. Cummings was told to cut his route short, but he knew he had a lot of elderly people living on his beat. He wanted to check up on all of them to make sure they were safe. Margaret was his last stop. Back in 2013, five-year-old Miles Scott won over the world when he revealed his alter ego, Batkid. 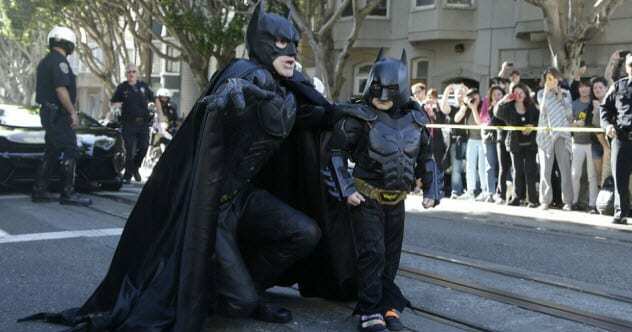 Scott was suffering from leukemia and had his fantasy fulfilled by the Make-A-Wish Foundation to role-play as Batman’s sidekick for a day. What followed was one of the organization’s most elaborate projects ever as over 10,000 volunteers helped turn San Francisco into Gotham City. Five years ago, Batkid made a lot of headlines. He got to dress up as his favorite superhero, ride around in the Batmobile, and take part in adventures like saving a damsel in distress and foiling the Penguin and the Riddler. The whole project cost over $100,000 but was covered by a couple of philanthropists. Donations to Make-A-Wish increased substantially after the story hit. The stunt was done shortly after Miles underwent his final treatment for leukemia. He has since been in remission for several years and has now been declared cancer-free. 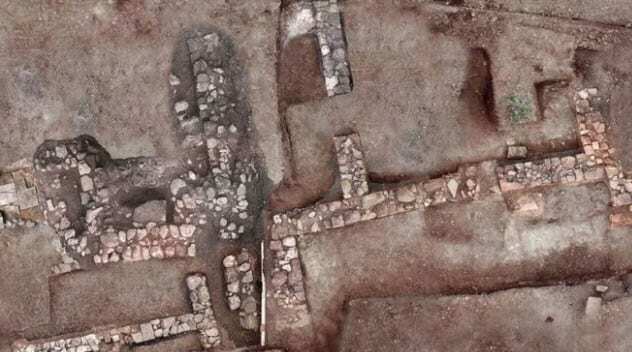 Archaeologists believe they have found the ancient lost city of Tenea. We know very little for certain about the settlement. According to legend, it was founded shortly after the Trojan War when Agamemnon allowed prisoners of war to leave and start their own town. This resulted in Tenea. The city flourished during the Roman era as it was positioned on the trade route between Corinth and Argos. According to Greece’s culture ministry, we now have tangible evidence of the existence of Tenea. Archaeologists first started digging in the area surrounding the modern-day village of Chiliomodi back in 2013, but they struck it rich during the last couple of months. They found ruins, pottery, jewelry, hundreds of coins, and even multiple burial sites. Already, certain discoveries have revealed clues about the culture of Tenea. The pottery shows Eastern influences. One of the rare coins was intended as payment for the journey to the afterlife. An unearthed grave contained the remains of a woman and child. Excavations are sure to continue for the next few years and yield a lot more information about the ancient Greek city. Read more uplifting stories you might have missed from November 11, 2018, and November 4, 2018.